Ready for Contact Center AI? The ability to embrace AI technology is more important than ever for delivering that 'next-level experience' customers want. Are you ready to make a change? With an estimated $62 billion lost through poor customer service, companies need to look into their processes and how they deal with customers. A company might have superior products or services, but if it's not offering an experience that its customers are delighted with, it could soon find itself losing revenue. This is where AI can come in! From this guide you will learn how AI partnered with live agents can go above and beyond traditional service. Some 60% of consumers agreed that AI self service can help them reduce the time it takes to get an answer. Not only can artificial intelligence be used to lower customer effort, but it’s a more efficient way to direct the consumer to the information they need. 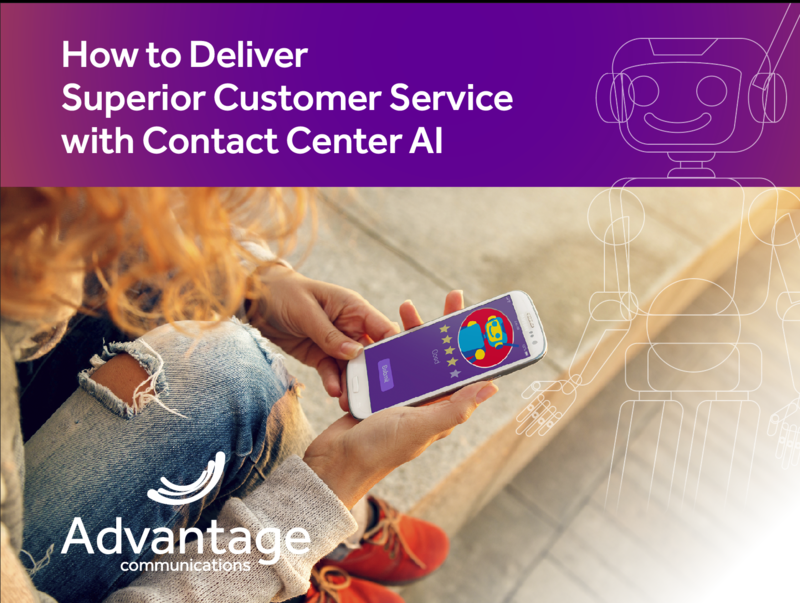 Download your copy of this informative guide and get the insights into how AI can truly benefit your customers! Get my Guide to AI. Fill out this form and we'll email you a copy right away.